According to an article in the MetroWest Daily News, a homeless man was arrested in a Framingham house last week. According to the article, the man was found in the bathroom of the home. 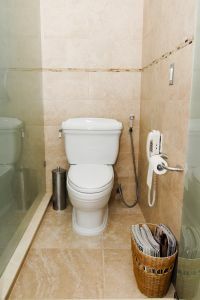 The homeowner, a woman, told the police that she went into her bathroom and discovered the man, whom she does not know, passed out on the toilet. The woman then called the police, who attempted to rouse the man, but had difficulty doing so. When he finally came to, the police observed a cut on his hand and his face, and he looked like he’d been in some sort of altercation. The man told the police that he believed he was in a relative’s apartment, but could not provide an address where the relative lived. The man was ultimately arrested and charged with unarmed burglary. Despite the fact that the man’s conduct undoubtedly frightened the homeowner, he appears to have a strong defense to the charge. For the Commonwealth to prove that the man committed the offense of unarmed burglary under G. L. c. 266, § 15, the Commonwealth would have to prove beyond a reasonable doubt that (1) the man broke into the house; (2) entered the house; (3) someone lived in the house; (4) the entry was at night; (5) the man entered the house with the intended to commit a felony; (6) the man was not armed; and (7) the man did not assault any person lawfully in the house. While it is undisputed that the man was in the house, and that it was not in fact his relative’s, it seems unlikely that the Commonwealth will be able to prove the 5th element of the crime: that he entered the home with the intent to commit a felony. The man was found passed out on the toilet and clearly hadn’t made any attempts to steal any money or property. Further, there is no indication that he made any attempt to harm, or even interact with, anyone in the house. These facts seem to support an argument that the man merely made a mistake and went into the wrong home, sincerely believing that it belonged to his relative. Moreover, the fact that he was clearly heavily intoxicated and appeared to be somewhat confused, possibly from being beat up, adds additional corroboration to his claim that he believed that he was in his relative’s home. Despite the fact that the man may have simply made a mistake and did not necessarily mean any harm, the charge he is facing is quite serious. If you or a loved one is in a situation where you have been charged for what amounts to a genuine misunderstanding, you will need an attorney who will make sure that you aren’t unfairly penalized for your mistake. Attorney Daniel Cappetta is a thoughtful and experienced attorney who will make sure that you get the best possible outcome for your case. Call him today for a free consultation.